Wily and adaptable, Minnesota’s most abundant large predator does well where humans have changed the landscape. Here they find a booming population of rodents for food and less competition from other predators that have been pushed out. Rabbits, rodents, insects and other small prey they find easy to catch. Coyotes live just about everywhere. In Minnesota, this includes prairies, woods, wetlands, and even suburbs and small towns. 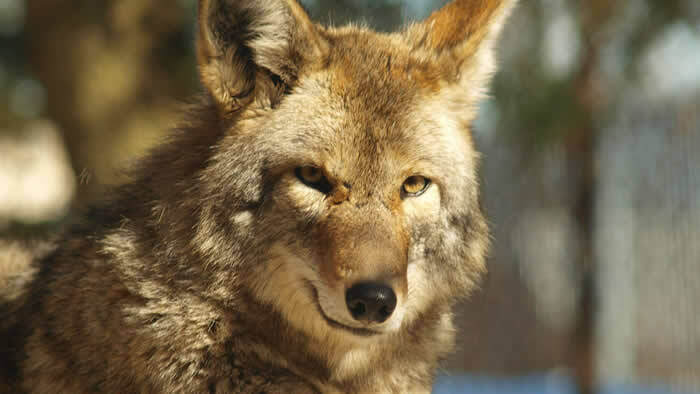 Coyotes are most active at night and in early morning. They sleep in sheltered areas but use dens when raising their young. In the last century, coyotes have expanded their range across Minnesota and throughout most of the country. 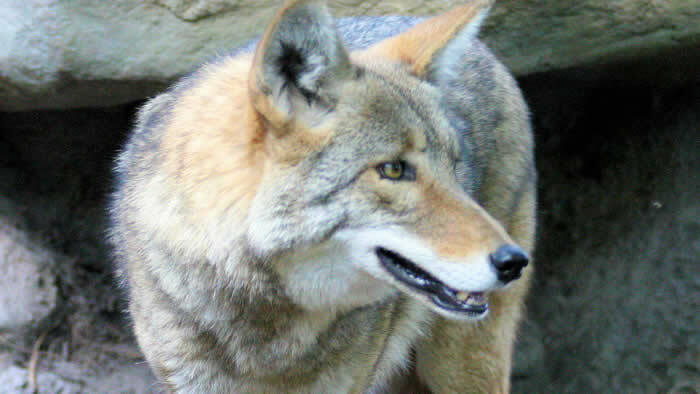 Coyotes are frequently portrayed as cunning tricksters, gluttons, outlaws, spoilers, and survivors in American mythology and in Native American tales. These are based mainly on the coyote’s uncanny ability to survive. When local coyote populations decrease due to hunting or trapping, females produce large litters (12 or more pups). When times are good and overpopulation is a threat, females produce smaller litters (2-3 pups). If food is scarce, females often don’t produce litters or kill their newborns to prevent them from starving. City coyotes tend to live longer than their rural cousins, finding easier access to rodents and small pets as food and less competition from other predators. Coyotes use abandoned fox or badger dens even though they can dig their own. 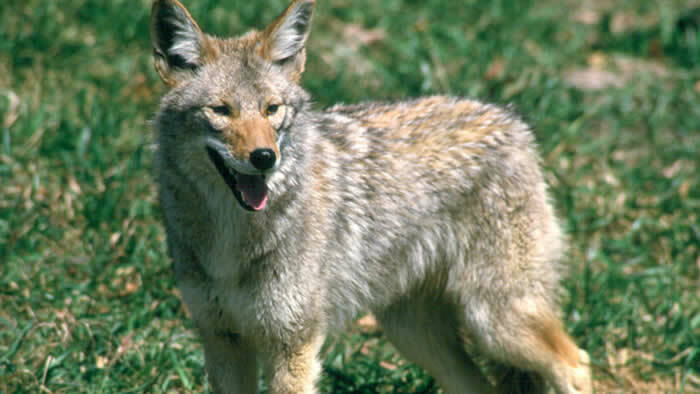 The coyote is able to adapt to many environments–even urban environments. In 1995 a pair was found in New York City. One was found resting on a seat in a light rail car in Portland, OR. Length 3.3 – 4.6 ft. 5 ½ ft. Weight 25-40 lbs. 50-100 lbs. Color Varying shades of grizzled gray and reddish brown White to grizzle brownish-gray to black. Facial Features Narrow face with pointed snout and tall, pointed ears. Rounded face and snout and smallish, round ears. Tail Position (trot) Carries tail low or tucked between hind legs. Carries tail straight out from body. Social Order Loosely structured, less stable than wolves. Sometimes hunt in packs, but usually alone or in pairs. Sophisticated with a close family group. Dominant or alpha male and alpha female. Communication High-pitched yaps, barks, howls, and wails. Marks using scent. Howls to assemble pack, pass on alarm, define territory, and locate pack members. Marks using scents.